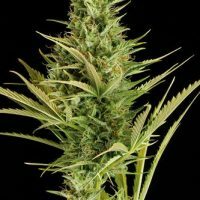 Dinafem Blue Kush female Seeds produce a cannabis plant with a High (15-20%) THC content, Photoperiod genetics and a flowering time of 8 weeks. 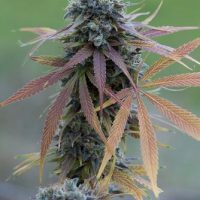 Blue Kush female Seeds has a genetic makeup of Blueberry x OG Kush and has a taste described by the breeder as ‘Berry,Citrus,Fruity,Pine’. 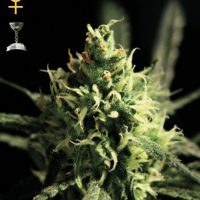 Buy Dinafem Blue Kush female Seeds at the lowest price online now! 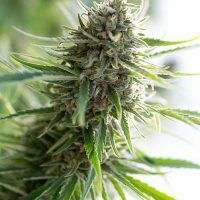 Blue Kush is a very strong plant that looks like an OG Kush, with elongated, thin stems and rounded buds spread along the branches. It develops appealing Blueberry colours, ranging from purple to lavender and including violet hues. The colder the night gets, the deeper these colours become. 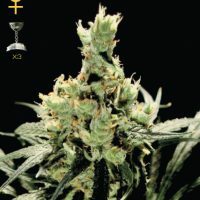 It flowers in 60 days, yielding very compact and resinous buds that taste like fresh, intense citrus fruits and pine, typically Kush, with hints of red berries. It is extremely powerful, cerebral and euphoric, not being recommended for casual users.